Eagle Communications: Low-Income Internet in 3 States, for just $9.95/month and free modem. Eagle Communications is a small media conglomerate (well, small when compared to cable giants like AT&T and Comcast Communications) that owns and operates 59 cable systems in Kansas, Nebraska and Colorado (plus 28 radio stations in the same states). 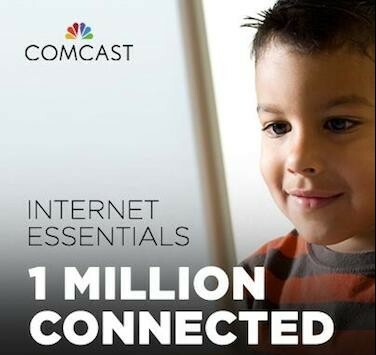 It is now offering a $9.95 per month Internet plan for qualifying residents of those states. Eagle Communications believes technology is one of the greatest tools students can have both in and out of the classroom. We are also very aware that not all students are afforded the same access to high-speed Internet services in their homes. That’s great news for adults looking for jobs that are only advertised on the Internet, and great news for kids who need the Internet to do their homework. You may be eligible to participate if your household has at least one child who qualifies for free or reduced school lunches through the National School Lunch Program (NSLP). You must not have an overdue bills or unreturned equipment. And, of course, you must live in a community in which Eagle offers broadband services. Want to contact Eagle Communications? Want to sign up for the company’s high-speed, low-cost Internet plan? Well, what are you waiting for. Here’s all the contact information you need. We already told you that Eagle is an Internet service provider in Colorado, Kansas and Nebraska. Let’s get a little more specific by telling you exactly where.